Need some very rare kits to complete some subjects. A few weeks ago I had a look at Parts 2 and 3 of this series from Model Alliance Decals so it was timely to receive the earlier Part 1 for review this week. 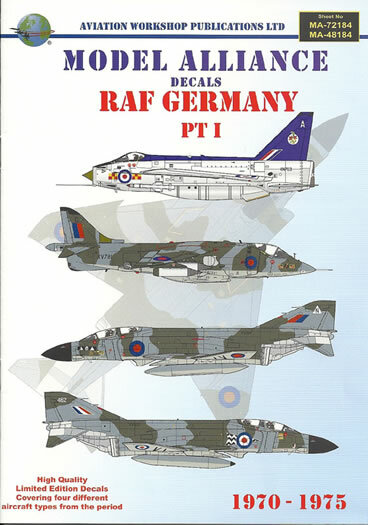 Like Parts 2 and 3 this covers the major aircraft types deployed in the RAF Germany area of responsibility during the period from 1970 to 1975, although this time does indeed only cover four types (not the five of later sheets). 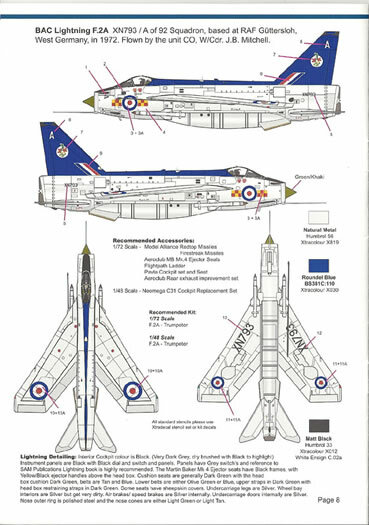 This is the period when the first steps towards lower visibility markings were being taken and this is reflected in the mix of colourful squadron markings and both full colour and two colour roundels. This sheet unsurprisingly has many of the units depicted that appear in Parts 2 and 3 but of course at different points in their operational history. Lightning F2A of 92 Squadron RAF Gutersloh 1972 in high speed silver with a blue spin and fin as flown by the Unit CO.
All the above are in Dark Green and Dark Sea Gray over Light Aircraft Gray disruptive schemes with the Wessex having a black underside. Much of what applies to this sheet can be read in the reviews for parts 2 and 3. 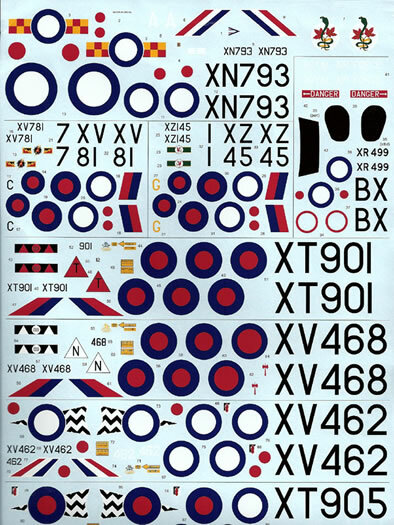 In combination the three sheets provide a variety of markings for no less than 24 individual airframes operated by RAF Germany units giving a modeler no end of choice. 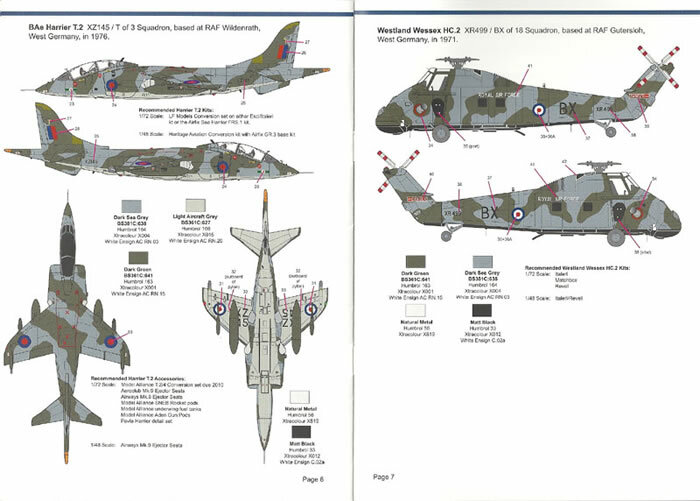 Model alliance provides all the roundels, serial numbers and individual squadron markings for all subjects on a large format A4 size sheet, making it possible for a dedicated modeler to use the entire sheet if desired. As with the later sheets the biggest challenge may be finding the appropriate kits to use – especially the extremely rare Revell Wessex kit. In addition the Harrier GR 1 is really only available via two very old kits from Monogram and Tamiya and needs a conversion kit to make a T2 which may also deter some.